As teachers, we all stress about the big tests our students have to take and none are more stressful and important than the SAT and ACT. The students fret over it just as much as we do, and we all want to know we are preparing them for the test as best we can. 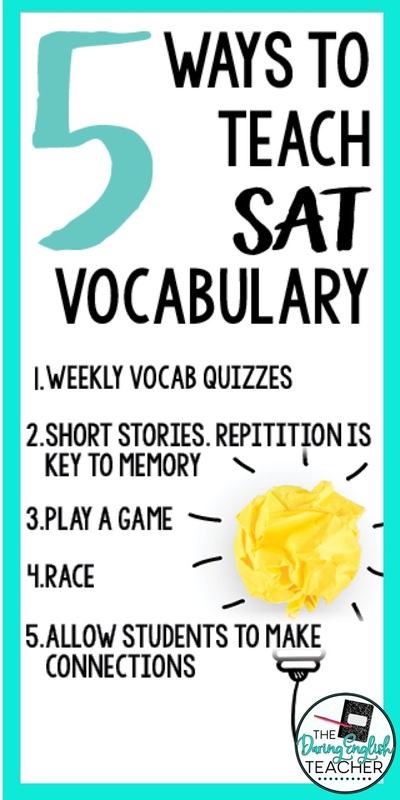 One of the sections that we can focus on without completely changing our lesson plans is vocabulary. Here are five tips on how to incorporate SAT level vocab in your classroom. This seems obvious, but breaking down the vocabulary into smaller weekly doses can be beneficial to the students. Doing just ten to fifteen words a week is easier on their memory and will encourage them to learn more over time. 2. Short Stories. Repetition is the key to memory. Studies suggest we need to hear a word seven times before we begin to use it in our daily vocabulary. Repetition is the key to memory, so having the students write their own short stories using the designated vocabulary words for the week will give them a better chance at being able to associate the words in context. If nothing else, this repetition of the vocab words will help them in the vocabulary sections of the test. Have students act out the words or draw a picture describing them. Their classmates can then guess what word they are trying to describe. Separate them into teams and award points for guessing correctly. A competition sticks in the students’ minds, teaching them the words in a different way. A fun game to play is my ELA Test Prep Vocabulary Escape Room. This escape room challenge includes 40 different high-frequency words that are commonly found on tests. As students compete against each other, they will learn, remember, and correctly use these words. Plan out different categories for the words: happy, sad, positive, negative, etc. Then, have the students race against each other to organize the vocabulary words into the various categories you came up with. You can start by giving them a list of the words, but to make it more challenging, have them try to remember on their own. 5. Allow Students to Make Connections. Show the word to the students and have them write down words they believe are synonyms. 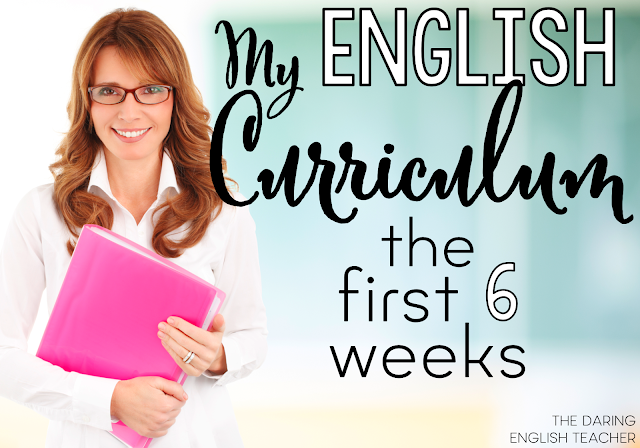 By doing this before they know the word and again after you all have studied it together, the students can see which words they can infer the meaning of and which words they need work on. 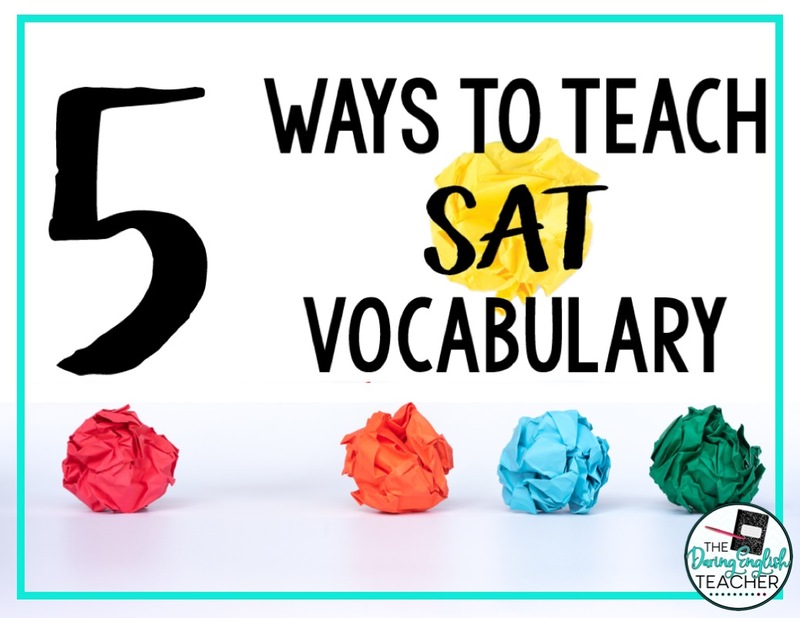 Obviously, the classic SAT questions can work as well, such as which word does not belong, but these are not as fun and don’t last as long in the students’ minds. Ultimately, they will not remember every single word, but they will have some words that stick in their minds better than others. These are the ones they will remember and will ultimately help them in the long run on the standardized tests.